PRO PLUS is the leading media company, which has significantly affected the development of the Slovenian media sphere. 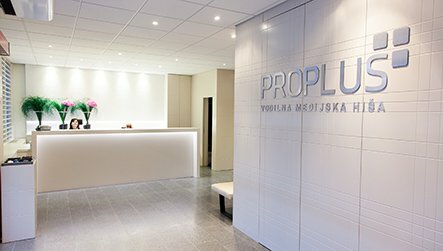 As the leading media company in Slovenia, PRO PLUS has for more than 23 years enjoyed a special position in the Slovenian media environment. 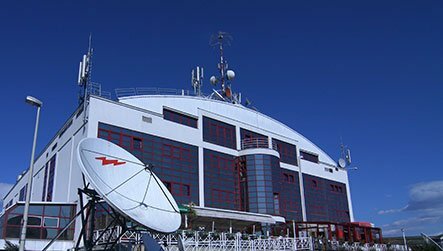 In television, PRO PLUS constantly generates new trends through the two TV channels with the greatest audience shares in Slovenia - POP TV and Kanal A, as well as through its topical TV channels - BRIO, KINO and OTO. The company has a significant on-line presence where it constantly pushes the boundaries further through 24ur.com, Slovenia's most visited website, 7 specialised web portals and the first video on-demand internet service in Slovenia, VOYO. Our mission is to follow the wishes of our viewers. As a result, we focus all efforts into creating media contents that provide high-quality entertainment and credible information to our Slovenian audience. Through our successful local TV production and intriguing on-line contents we aim to not only satisfy, but also exceed the wishes and demands of the media audience in Slovenia every single day and offer a wide spectre of high-quality contents for every taste. Every day, we aim to be better than the day before. Our vision is thus not only focused on retaining our leading position on the Slovenian media market, but on reaching and surpassing new milestones. Although we work in the present, our thoughts are constantly focused on the future - on generating new media trends and contents that will continue to fascinate, entertain and surprise our audience. The focus of our operations can be conveyed with just one word: excellence. This value directs all our efforts – from creating media contents and exceeding our viewers’ expectations, to our relations with our business partners, building enthusiasm within the company and achieving our business results. At the same time we constantly encourage fresh ideas and creativity, which are the foundation of our growth and progress. As a media company we are aware of the impact our contents have on Slovenian public life. As a result, responsibility to everyone and everything in our environment is also one of our key values. © 2011 Pro Plus, d.o.o. All rights reserved.